Felling, your Custom trailer solutions provider. Felling’s Custom Trailer Division will take your conceptual ideas and turn them into a tangible reality. Do you have an idea or a rough sketch but not sure where to go from there? You are in the right place, our Team will take you from the starting point and build on your needs to create a proto-type. We employ a fully staffed Engineering department that utilizes the latest in industry leading design programs. Our Engineers and Designers work along side our highly experienced Metal Craftsmen to create a custom fit to your specific transport needs. We are a team work focused company, from the sales to finishing, we focused on building it your way. It’s what sets us apart from other manufacturers. We take a base model trailer and modify its design to suit the needs of you, your company, and the job/equipment it is needed for. No Idea Too Extreme. No Detail Too Small. Take a look at some Custom Solutions we’ve created below in our gallery. Every trailer is backed by an unprecedented Limited Lifetime Structural Warranty & 3-year Paint Warranty. – Felling Trailers, Inc. recently manufactured two self-loading reel trailers and multiple power cord reels for an underground mining application. Due to the ever-changing needs of the mining environment, machinery is forever moved around. The need arose for a way to easily deploy and store the 1,000’s of feet of power cord needed to keep machinery running. a custom stripped down trailer used to build Red Hawk’s own specialized equipment in the oil patch. They use 53-foot triple axle trailers from Felling Trailers to permanently mount this equipment on. 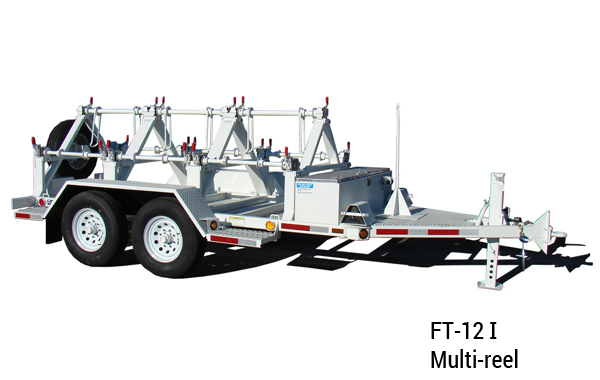 Felling offers custom solutions with Fixed Neck Oilfield Float Trailer. Jake ordered a Side Dump landscape trailer through a local Felling Trailer dealer in Colorado. This trailer was built to his ideal specifications which included 48” sides on the driver’s side and front with 48” barn doors on the curbside for dumping contents.